One of my favourite spots in Melbourne is the Ian Potter Children’s Garden in the Royal Botanic Gardens. Full of interesting plants, water features that encourage taking shoes and socks off for a little paddle and beautiful sculptures, the Garden is a hidden gem. 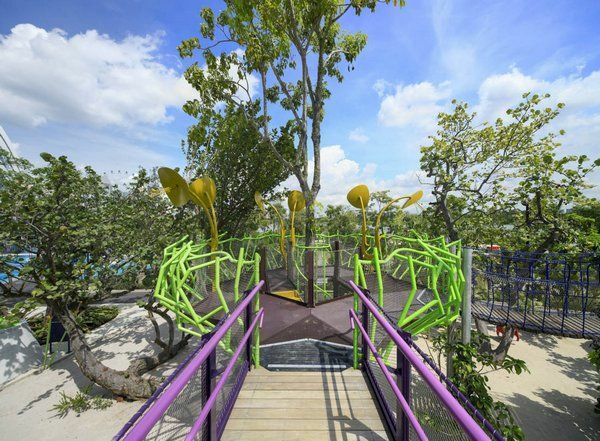 A new Children’s Garden in Singapore also combines nature and play spaces on a larger (and more tropical!) scale. 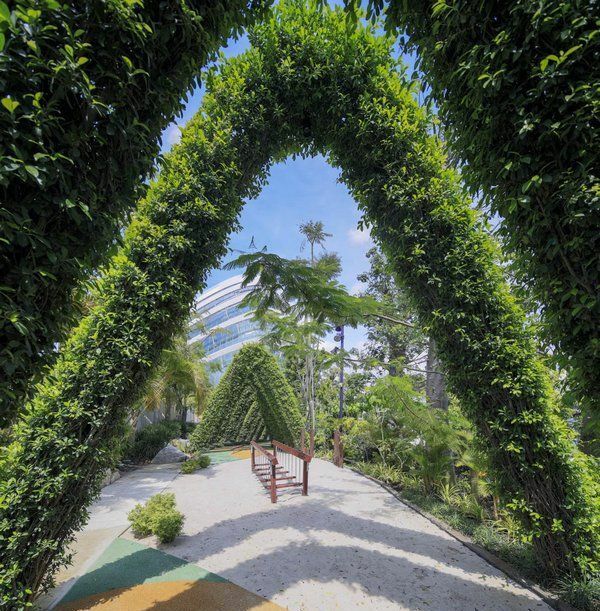 The Far East Organization Children’s Garden is part of the award-winning Gardens by the Bay public park built on one hundred and one hectares of reclaimed land in Singapore. 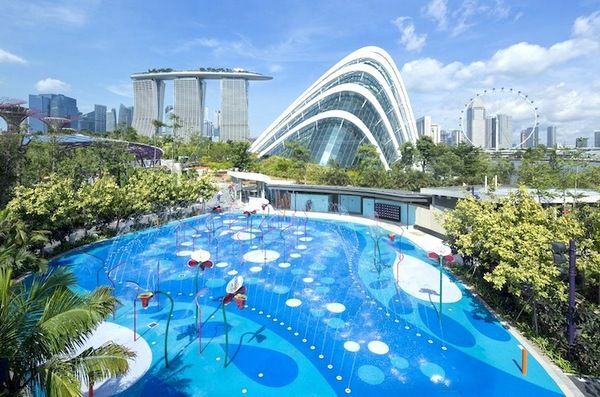 Gardens by the Bay was designed by Grant Associates and includes a number of surprising energy-saving technologies, notably the eye-catching ‘Supertrees’ that harness solar power and collect rainwater. 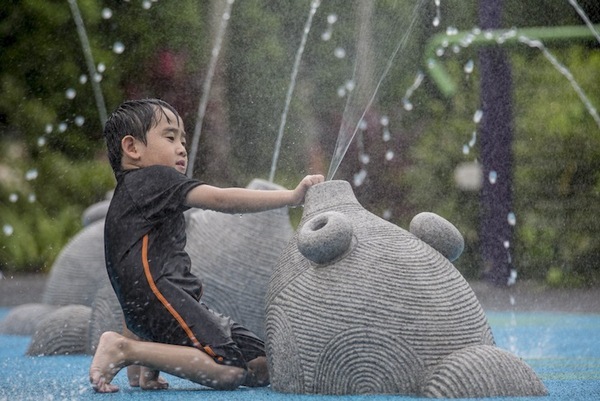 The Children’s Garden is the latest installment in the ongoing development of Gardens by the Bay. 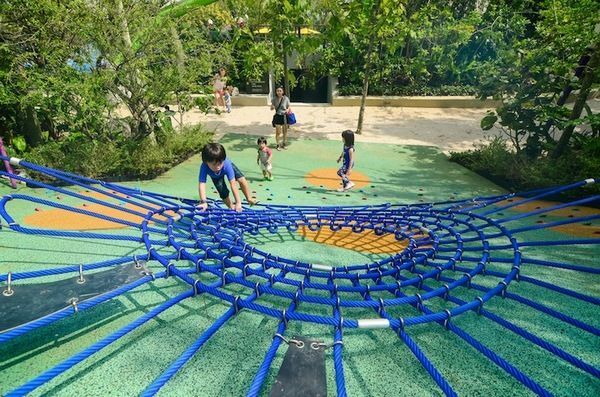 Through four distinct play areas, spread over one hectare, the Children’s Garden blends nature, technology and lots of imagination into a varied and fun outdoor experience. 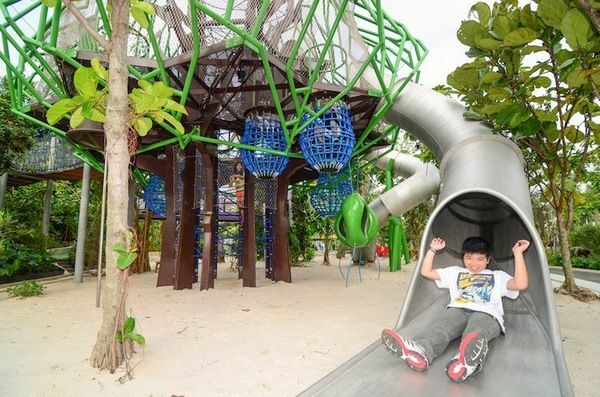 The Water Play area is the centre of the Children’s Garden and is surrounded by elevated treehouses in a rainforest canopy; an adventure trail with a circuit of play equipment; and an outdoor amphitheatre shaded by a leaf-shaped canopy. The lush, tropical vegetation unites the distinct spaces. 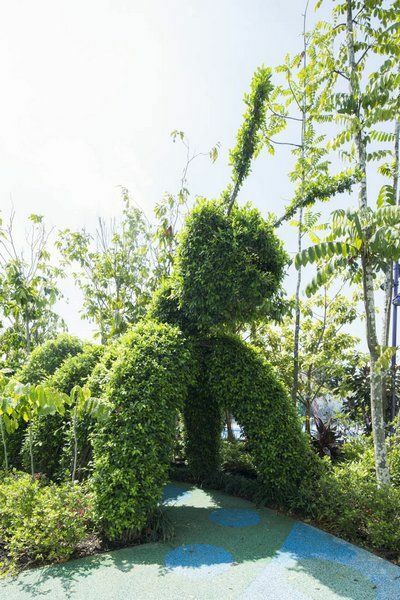 I like the giant topiary pieces – the scale of each is incredible – true ‘living’ sculptures. 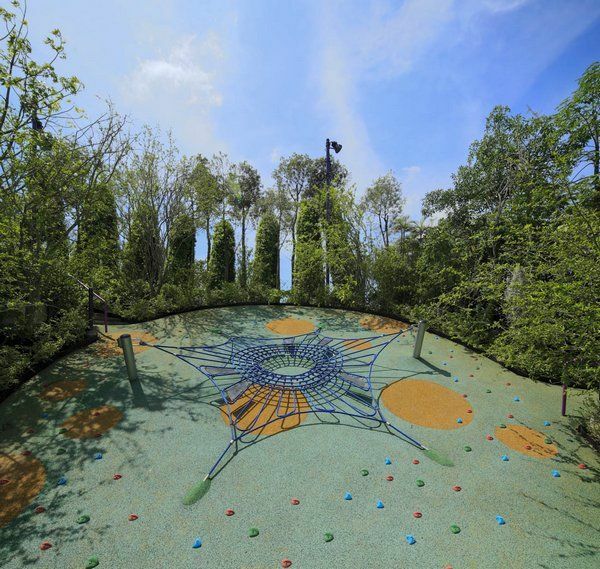 And because we can’t all get to Singapore, be sure to visit the Ian Potter Children’s Garden in Melbourne as a smaller scale, but nonetheless lovely, alternative. 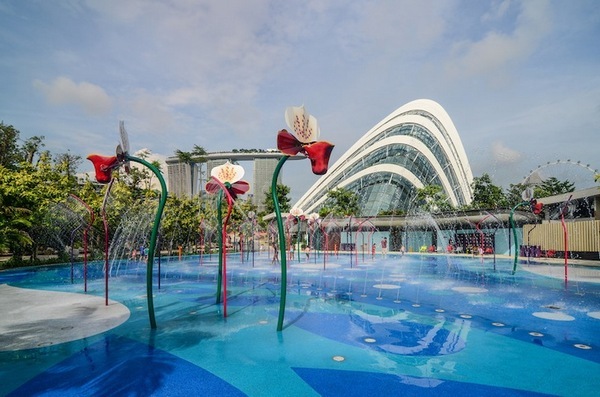 These wonderful photographs were taken by the talented team at Gardens by the Bay.